Garage doors will wear out with time. Being alternate entry points to your commercial property, it’s a good idea to get an aging garage door replaced with a new one quickly. Pittsburgh Any Time Locksmith’s professional locksmith service in Pittsburgh, PA offers a variety of garage door replacements at affordable prices. 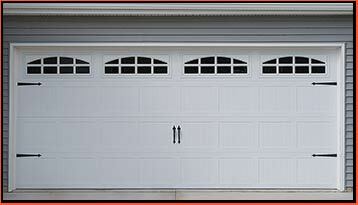 We carry sturdy garage doors that not only stand the test of time, but also look good. We’ve installed numerous garage doors for businesses in the region over the past 10 years. Wood: Wood doors are sturdy and long-lasting, but they can be expensive, if you get the higher quality ones. If you live in a cold and damp environment, they are going to need a lot of maintenance (like refinishing). Steel: Steel doors are super strong and very cheap. They are a good choice if you don’t want regular maintenance. They can get dented, though, and nicks need to be painted over. 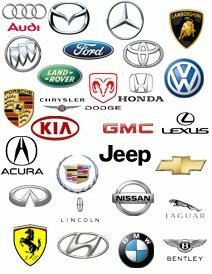 Aluminum: Aluminum doors used to be a cheap option, but there are new aluminum door types these days in the market that are very expensive. Aluminum is lightweight and rust-proof, and requires little maintenance. Fiberglass: Fiberglass doors are sturdy, light, and they look good. They can make great alternatives to steel, wood, and aluminum – but you often have to pay a lot of money for the better ones. How much will a garage door replacement cost you? It all depends on your budget, your property specifications, and your preferences. For a better idea of the costs involved, you can request a free consultation from us. Our locksmiths will take a look at your garage and the décor of your property, and suggest some suitable replacements. To get garage door replacements or a free consultation anywhere in Pittsburgh and beyond, call 412-226-6529!